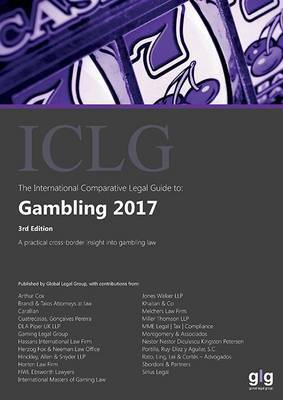 Welcome to the third edition of The International Comparative Legal Guide to: Gambling.This guide provides corporate counsel and international practitioners with a comprehensive worldwide legal analysis of the laws and regulations of gambling.It is divided into three main sections:One editorial chapter. This chapter has been contributed by Michael Zatezalo and Jamie Nettleton of International Masters of Gaming Law. Two general chapters. These are designed to provide readers with a multi-jurisdictional overview of gambling laws and regulations.Country question and answer chapters. These provide a broad overview of common issues in the regulation of gambling in 27 jurisdictions, including five US States.All chapters are written by leading gambling law practitioners and industry specialists and we are extremely grateful for their excellent contributions.